Land Rover Glen Cove features a STRUT Range Rover Sport demonstrator vehicle on its showroom floor and offers the "STRUT VIP Service" to personalize each vehicle to suit the client's needs. The STRUT Range Rover Sport Collection features a main grille with optional LED lighting and two lower grilles all with either fiberglass or carbon fiber surround and diamond woven mesh inserts, plus two fiberglass or carbon fiber side grilles and hood grilles with diamond mesh and STRUT shields and a rear lift gate fascia in fiberglass or carbon fiber with STRUT shield. 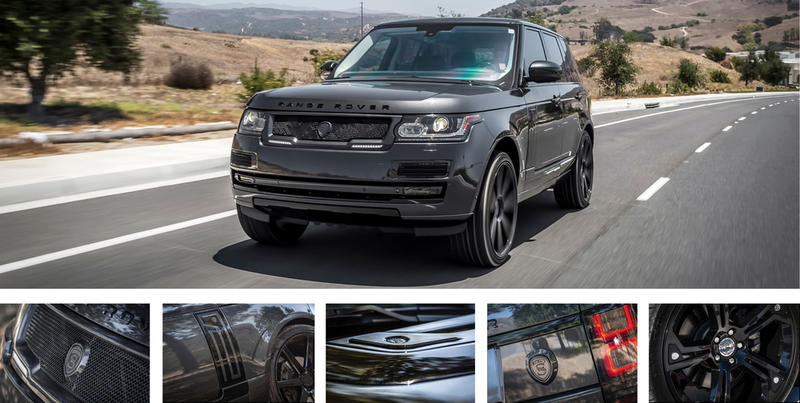 The STRUT Range Rover Collection features a main grille with optional LED lighting and two lower grilles all with either a stainless steel, fiberglass or carbon fiber surround with diamond woven mesh inserts, plus two fiberglass or carbon fiber side panels and hood panel with STRUT shields and a rear STRUT shield. Please fill in your details below and we will personally valet a VIP appointment with Land Rover Glen Cove to discuss your bespoke STRUT Range Rover or Range Rover Sport Collection.